Most of the Kickstarter games I have wanted to see get funded have indeed crossed the finish line and are well on their way to being made. However, one really promising title fell through the cracks after it tragically didn't pick up the support it needed. The Adventures of Pip has been resurrected for a second stab at the Kickstarter run. TicToc Games has refocused the game's mechanics and its pitch after the campaign sadly came up short in June, really making the game look like a whole new product. Of course, the game still looks like a blast with the graphics, music, and themes all remaining intact. 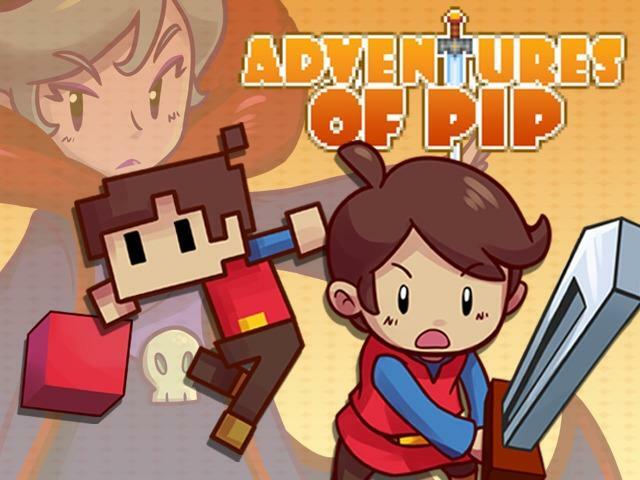 You play as Pip, a young man from the Pixel Kingdom charged with saving it from destruction from the evil Skeleton Queen and saving its princess. Using the pixels absorbed from destroyed enemies, Pip can transform into three different shapes, each necessary to complete a wide variety of situations. Shrinking to the size of a single pixel, he can squeeze into tight corridors and explore secret areas. He can also take the shape of a speedy, simple sprite for the more acrobatic and twitch based platforming areas in the game. When necessary, Pip can also erupt his powers and become a fully fleshed character, granting him the power to swing a sword and slice nuisance enemies to pieces. Each form represents a different era of gaming, the 8-bit, 16-bit, and 32-bit generations respectively. At the same time, TicToc Games is promising to reinvent the mechanics of each generation in their respective areas by blending them together. For a team that is made up of former WayForward staffers, they definitely have the resume to make a really solid 2D platformer. In addition to refocusing the game's mechanics and presentation, TicToc has also refocused its budget, slashing the previous goal of $90,000 all the way down to $40,000. What has changed in the process? I don't know, but it seems like it has learned a few things from other Kickstarter campaigns and is aiming low, hoping to score big on the stretch goals. At the basic level, it will be released for the PC, Mac, and Wii U. The mechanics are there. The graphics are there. The experience is there. All they need is the funding. Better luck this time, guys.